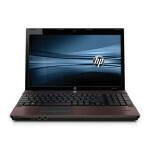 HP launched a latest small and medium business Notebook, HP ProBook 4520s that is designed to replace the last year 4510s laptop. This newest model has some new and unique features that separate this computer from the line of other laptops in the market. 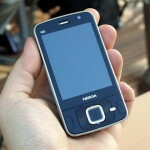 Nokia C7 another Symbian^3 OS full touchscreen smartphone has been confirmed by Nokia. On the Nokia official web site the Nokia C7 profile is given on it. Unfortunately, the Nokia C7 release date and price information is not given on the web site and it still mystery for the Nokia phone customers. Samsung had launched number of Galaxy S series Android phones like Samsung S8500 Wave, Samsung M110S, Samsung S5530 and more in different markets of the world. 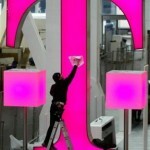 Samsung Vibrant of the Galaxy S series phone was announced few days back for U.S users by T-Mobile’s phone. Rumors about New Nokia n series phone known as Nokia N9 is prevailing very rapidly in the mobile phone market. 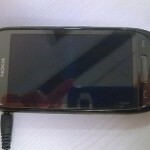 Nokia N9 appearance surprises every one as Nokia N8 Smartphone was supposed to be last symbian OS N series phone. Apparently, Nokia phone has not yet officially announced about Nokia smartphone N9. All the speculations made by analyst on the leaked information and pictures of Nokia N9. 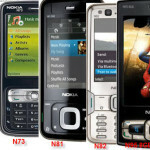 Nokia phone is going to introduce new nokia n series phone known as Nokia N9. Nokia n9 phone is a classic Nokia Smartphone that comes with the amazing and revolutionary features incorporated in N9 Nokia phone. Nokia phones one of the largest mobile phone manufacturers has yet to officially announce about the release date of Nokia n Series phone Nokia N9. 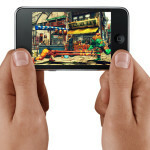 Apple brings Street Fighter IV on iPhone and iPod for its brand lovers who always want to play new version of this game. Capcom combines with Apple to provide nonstop fun and enjoyment to iPhone’s users .Apple always offers various applications for iPhone users , the most recent is Farmville and now they get update in Street fighter. In street fighter IV Capcom updates two new warriors Cammy and Zangief . Which one will be symbian- running mobile phone? 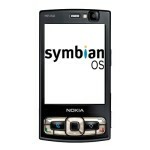 Recently, an official statement from Nokia was evaporated in the market that the NokiaN8 or one member of the Nseries will be running on Symbian^3. There was a good chance that the prototype will not go by Nokia N8 or Nokia N9 quite the reverse a member of Eseries can be selected for it. iMovie is a smart app software which can be now downloaded from the Apple stores from the iPhone 4G users. With the help of smart features of iMovie you can record your movies or videos and then edit in HD. What you need more?.You can edit anything from transaction to theme, and from adding back music to your videos to sharing. 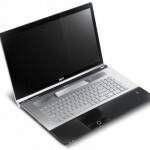 Acer America has just launched a brand new Multimedia Notebooks series, Acer Aspire AS8943G. The fabulous technical specification and simple industrial designed of this latest Laptop separates it from diverse top-of-the line multimedia Notebooks. Acer Aspire AS8943G features with bold industrial design and advanced capabilities. LG Electronics unveiled a latest Mobile PC, LG X300 that is quite stylish and attractive for demanding and discerning consumers. This device is pretty suitable for professional and high profile businessman as this mobile PC is portable and also well matched up with status of stylish personnel. The weight of LG X300 mobile Pc is 970g ,while it is only17.5mm thick. 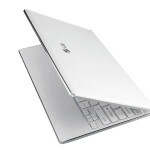 It is designed with 11.6-inch LCD screen that is attractive and sleek. The elegance of this laptop boost up via its unique reflective keyboard and borderless touchpad.